Eager to buy your first home, but a bit unsure about all the steps involved in mortgage financing? Maybe you’re wondering if any bank will lend you money? Before you give up, read through this. 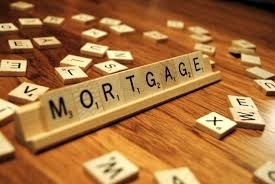 Also know that I can refer you to mortgage lenders willing to work with you on financing your first home. Together, we’ll find you the right home at the right price. Let’s get started. The most important thing to remember is that unless you have enough cash to pay for your first home, you’ll need to be an attractive borrower to lenders who will immediately pull your credit report. If you’re young and lack a credit history, you need to present your credit worthiness by paying all of your bills on time and also paying down credit card debt. Doing so will get you the best possible rate on your mortgage loan. Have you established a credit history? Without it, it’s almost impossible to get approved or the mortgage loan. If not, before applying for a mortgage loan, open a few accounts, understanding that your credit score will then drop. However, it will rise again when you pay your bills on time for several months in a row. If you’ve never ordered your credit report, do so right away. Also, get your credit score. Federal law dictates you can receive a free credit report every year. Order yours online so you see what the lender sees when applying for the loan. Keep in mind that it’s not always wise to have more than one borrower on the loan, especially if one person has a poor credit history. Talk to the lender about this to determine if the loan should have co-borrowers. Since rates are tied to credit scores, ask them to explain which credit scores they use to determine your interest rate and ultimately your approval, or not. Home sellers today usually require a purchase offer be accompanied by a lenders’ pre- approval letter; it signals you’re serious about the offer and ready to purchase. Lenders review your financial life very carefully to determine if you are a good credit risk-an attractive borrower. They likely will ask for the following information from anyone on the loan application: Full name, social security number, date of birth, current address and possibly addresses in previous years; number and ages of children, if any. They will pull your credit report and employment history, and can ask for pay stubs, tax returns and bank statements. Most also inquire about legal settlements, including divorce. If you own a business, be prepared to present complete financial information on it. Respond completely and immediately to their information requests and provide written explanation, when asked. Stick to the lender’s checklist in terms of what you send them and always be honest and accurate. When you apply for the actual mortgage loan, the lender will likely ask for additional information as well as order an appraisal. See Real Estate Terms for more helpful information. For many years, lenders were leery of loans with less than 20% of the purchase price as a down payment. That’s shifted a bit. Now mortgage options requiring 5% or less of the purchase price are available. Remember though, the larger the down payment, the less you have to borrow, and the more equity you’ll have. You may be required to purchase a mortgage insurance policy to secure the loan if you place less than a 20% down payment. Also, when deciding how much to put down, keep in mind you will need money for closing costs and possibly moving expenses, repairs, and furnishings. Knowing this, start saving early so you readily have at least 20% available as a down payment. Most interest rates change throughout any given day, since they are affected by mortgage bond trading. A lower rate means you can borrow more money than a higher rate with the same monthly payment. Your lender will also provide the Annual Percentage Rate (APR) of your loan to you. This will be higher than the interest rate because it also includes the cost of points, mortgage insurance and other loan fees. Work closely with the lender and me to lock into the best rate available during the home buying process. And, always feel free to ask questions to ensure you get the right loan product with the best interest rate. Also inquire with your lender about any preferred employer discounts or other credits to reduce closing costs, including first-time homebuyer credits. The Real Estate Settlement Procedures Act (RESPA) of 1974 prohibits real estate agents, like myself, and lenders to pay fees to one another for referrals. I do, however, have a list of lenders whom I work with regularly and are trusted professionals in the area. Each understands local home values and conditions, tax rules, settlement procedures and appraisal methods. They’re also seen as credible by seller agents, making the purchase process smoother. Having said that, you’re always welcome to use whatever lender you’d like. The mortgage interest and real estate taxes will be tax deductible. I always recommend buyers consult with a tax professional like a Certified Public Accountant (CPA) or other tax preparers to fully receive tax advantages of home ownership. Are you ready to buy your first home? Let’s meet. ©Copyright. April 2016. Megan Owens.